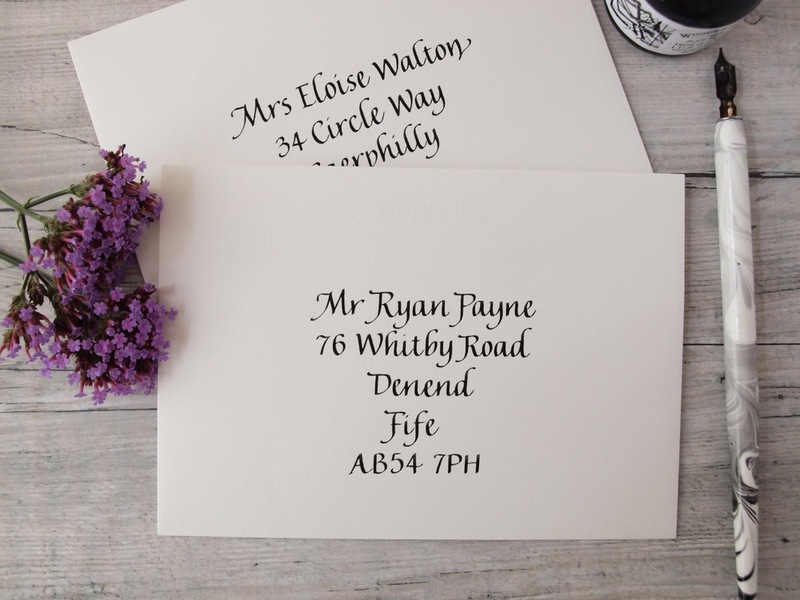 Calligraphy on envelopes gives your stationery that luxe, sophisticated look and makes them stand out from the rest of the mail that comes through the letterbox. The envelope is the first thing that your guests will see so it is important to get it right. Calligraphy can be written on envelopes for as little as £4.20 each. Please refer to my pricing page for more details.